Dewan Architects + Engineers has for the 10th consecutive year received top honours from the prestigious UK industry publication Building Design Magazine. Every year Building Design (BD) surveys the world's biggest architecture practices to create a report that is one of the most respected annual publications in the industry. Coming in at number 45, this is the second consecutive year that Dewan Architects + Engineers features in the top 50 of the list. 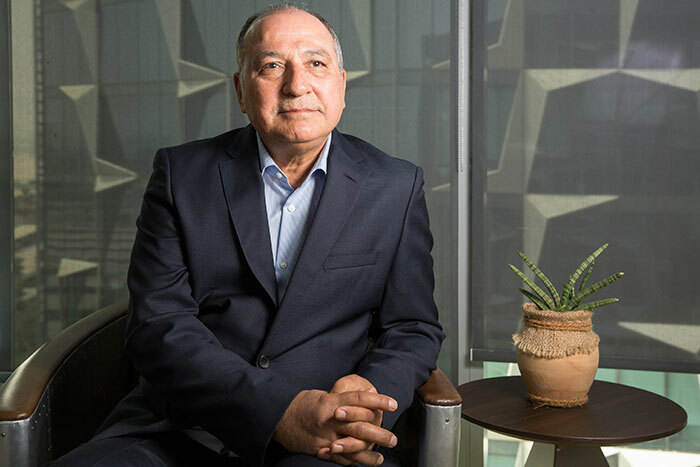 Mohamed Al Assam, Founder and Chairman of Dewan Architects + Engineers. As one of the region's leading architectural and engineering consulting firms, Dewan Architects + Engineers is recognised not only for being one of the largest architecture and engineering practises in the Middle East – with key markets in UAE, KSA and Iraq – but also for its extensive work in Europe and Africa, where it is working on hospitality and education projects including hotels for the Kempinski group in Ivory Coast and the Republic of Congo. Speaking of the firm’s delight at once again making it to the top 50 of the list, Mohamed Al Assam, Founder and Chairman of Dewan Architects + Engineers – who recently scooped the the impressive seventh position on the Middle East Architect Power List 2019 – said: “We are thrilled to receive this recognition for our continued contribution to the architect and engineering industry both within the Middle East and further afield,” he said. “In order for our industry to thrive – especially when moving into new territories – architecture must be dexterous, compliant and, above all, imaginative. We believe that Dewan Architects + Engineers is amply fulfilling this brief, and it is always a good feeling when other industry professionals recognise this,” he added.